We’re not usually keen on promoting gadgets that come from an IndieGoGo or other crowdfunding campaign on TechRadar – there are many hurdles that smaller manufacturers have to overcome to get their products to you, even if they are fully funded, so they’re not always reliable. But we can’t help but be enamoured with the Funcl AI true-wireless earbuds, if only for one core reason – their fantastic price. At their current early-bird offer price, the Funcl AI true wireless earbuds cost just $54. That’s around £45 / AU$76 – and roughly a third of the price of Apple’s AirPods. It’d be fair to be wary of the quality of headphones at this price point, with a relatively-unknown brand. 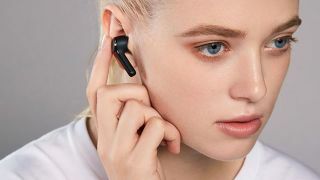 But we’ve been testing the Funcl AI true-wireless earbuds for a while now, and with just a few days until Christmas, it’s a deal that still seems worth shouting from the hilltops. The Funcl AI true wireless earbuds are sporting the sort of specs lots of sets in the category can only dream of. You’re looking at six hours of battery per charge with a case that holds 18 hours of battery for an effective 24 hour battery life. Similarly designed as the Apple AirPods (but far more friendly for pairing to Android phones) they sit in a pillbox-like case that can happily fit in a jacket pocket, while the buds themselves (which sit on the end of stems) fit snugly enough to be almost forgotten about in the ear. And, thankfully, they don’t sound half bad either. Many true-wireless earbuds can suffer from poor clarity and distortion, but the Funcl AI give the AirPods a run for their money in this respect. They’re still not as soulful as quality over-ears or wired buds, but do sound far better than their current price would suggest. But that’s the stickler – Funcl has yet to set a final price for the AI earbuds, and could pull the current offer price at any moment – hence why we’re reserving our final review judgement. But while that offer price stands, we can’t recommend them highly enough.